Wedding suite and gifts for the Nathan (my little brother) & Kari Buck wedding. 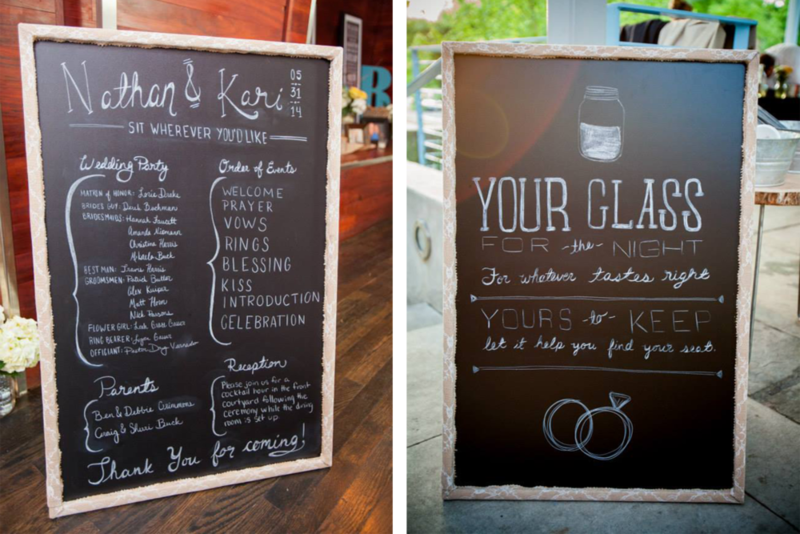 The theme of the wedding was rustic chic complete with burlap, lace, chalkboard lettering, and custom font & hand lettering. Save the date—hand lettering combined with photography of the couple was printed on a double sided card and mailed in kraft paper envelopes. Invitation set—consisted of an invitation on white cardstock mounted to kraft paper, map printed on white cardstock and mounted to registry, accommodation, and parking info printed on kraft paper, and an RSVP post card printed on white cardstock. The set was mailed in a kraft paper envelope with the couple’s information printed on the flap. 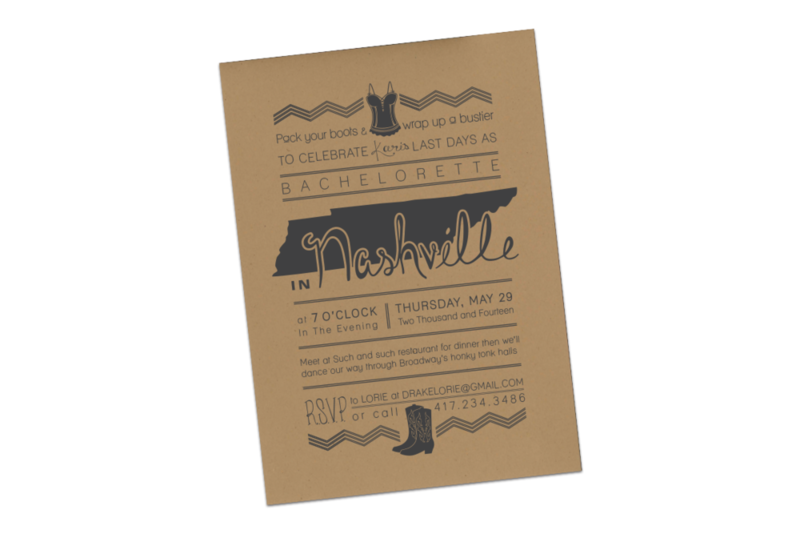 Bachelorette invitation—created for the maid-of-honor to send out and printed on kraft paper to tie in with the rest of the invitation set. 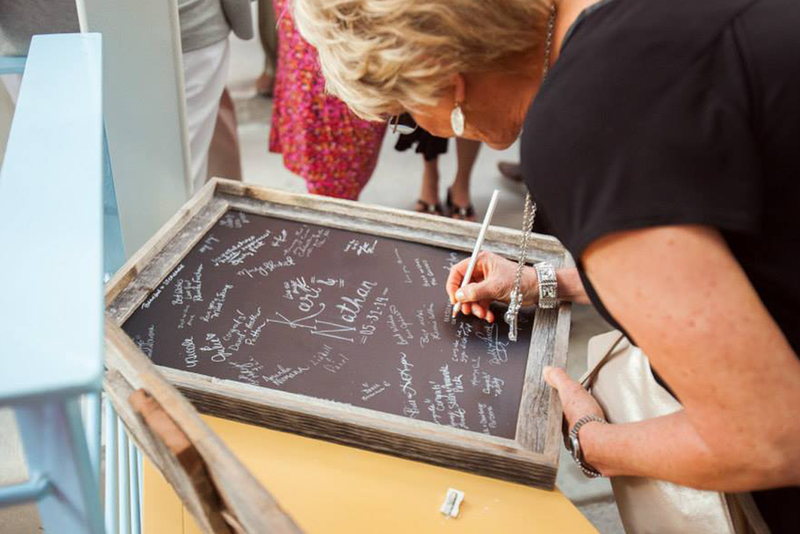 Guestbook—framed chalkboard with the couple's name and date in the center, which guests signed with a chalk pencil to allow for smudge-free application. Program & signage—chalkboard sandwich board displayed the program during the ceremony and instructed guests to start the reception. 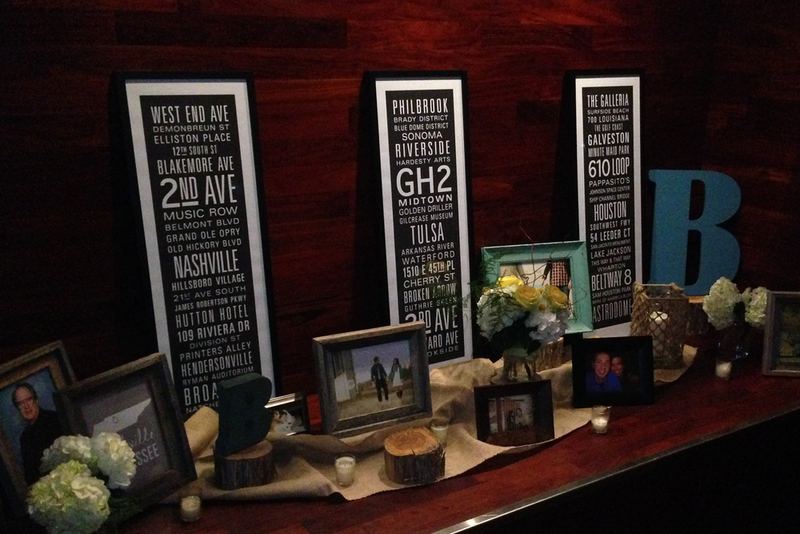 Groom’s gift—The groom requested a trio of framed art designed as a gift for the bride. Each piece was designed with street names/famous places from where each of them grew up and the center frame noted important places/streets from their relationship. Mr. & Mrs. signage—custom font printed on white cardstock, mounted to kraft paper and yellow chevron kraft paper, hung by lace/burlap ribbon.